Geysers burst for a number of reasons, most often because of human error – that is, poor installation, the use of the incorrect valves, or the absence or plugging or safety and pressure – reducing valves. Over the past three years, 23 people have been killed in South Africa as a result of burst geysers and other accidents caused by poor plumbing installations. This is according to Colin Isaacs, who works closely with the South African Bureau of Standards (SABS) setting benchmarks for geyser manufacturing and codes of practice for installation. Usually, when a geyser bursts, it’s an emergency, and even if you have the presence of mind to consider investigating a plumber’s credentials, you probably don’t have the time. If you call the first name in the Yellow Pages, believe me, you will be disappointed. 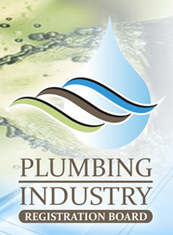 We are members of the PIRP (Plumbing Industry Registration Board). This means that we are fully qualified to handle any of your geyser nightmares.